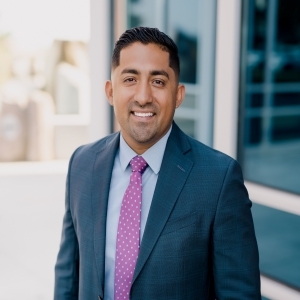 Dago Velasquez is one of the top mortgage lenders in Tri Cities. He began his career in mortgage lending in 2007, and it is his goal to bring a level of financial expertise that is incomparable in his field. Dago is passionate about all levels of the home buying process whether it be existing homes, presale or new construction. He is committed to on-going learning and is dedicated to staying on-top of what is happening in the financial markets so he can better guide his clients. Dago and his team will meet with you to determine what you would like to accomplish with your home buying needs. As one of the top mortgage lenders in the Tri Cities, he will help you design a loan program that meets your specific needs and transforms the mortgage loan from just a debt to a fundamental part of your overall financial strategy. Easy to work with and get ahold of! Great communication through every step of the process. Great guy and willing to work around your schedule. The professionalism, service, and care that you have provided are the highest of standards that has made my home ownership adventure very smooth. Dago and his team were great to work with and were very quick to get us answers to any questions we had. Would definitely recommend and will use again when it?s time for our next purchase. Dago was always a great help with any questions I?ve had. Second home purchase with Dago and I?ll definitely come back to him. SERVICE WAS PROFESSIONAL AMD QUICK. NO BS, PRETTY STRAIGHT DUDE. LOVED THE EXPERIENCE. Ready to finance your home? Contact Dagoberto Velasquez today!